The teapot, which is used for steeping tea leaves and for serving tea, most likely originated in China. Made from ceramic, bronze, and other metals, teapots were originally very small and made to create just a single serving of tea. In the 17th century, tea was first exported from China to Europe, and because of the high cost of tea, consumption of the expensive commodity was popular only among the upper classes. Gradually, access to tea became easier as demand grew and prices decreased. As this happened, Europeans added their own ingenuity to the art of tea. The traditional Chinese method involved brewing and drinking the tea from the same cup, but to avoid the unpleasantness of leaves floating in the cup, English and French artisans eventually arrived at the teapot. The first known silver teapot was made in 1627. 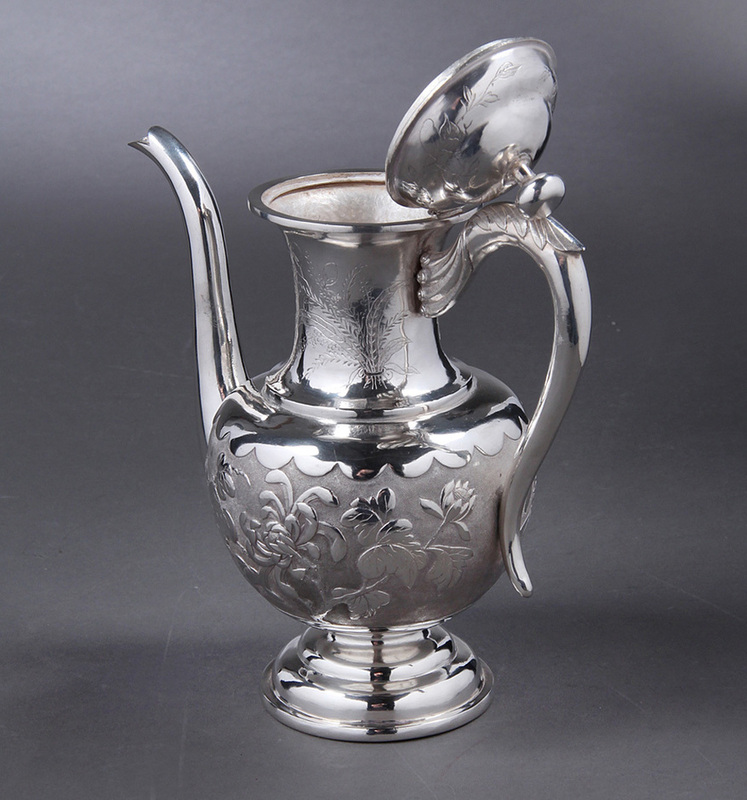 In 1790, a silver tea set including a sugar bowl and creamer was introduced. 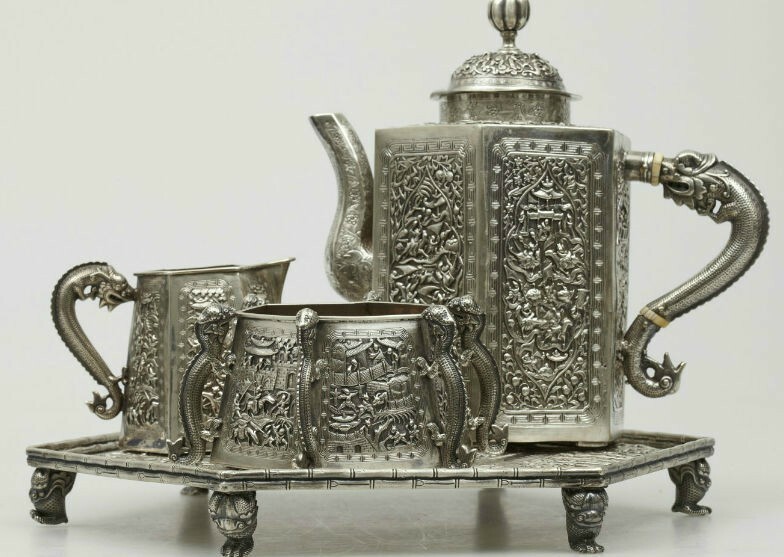 Then the full, six-piece silver tea set we think of today—with silver tea kettle, sugar bowl, creamer, coffee pot, waste bowl and teapot—did not really arrive on the scene until the Victorian era. They served as marks of refinery and social standing and were also a form of cash reserve: they could be melted down and the silver converted to currency. 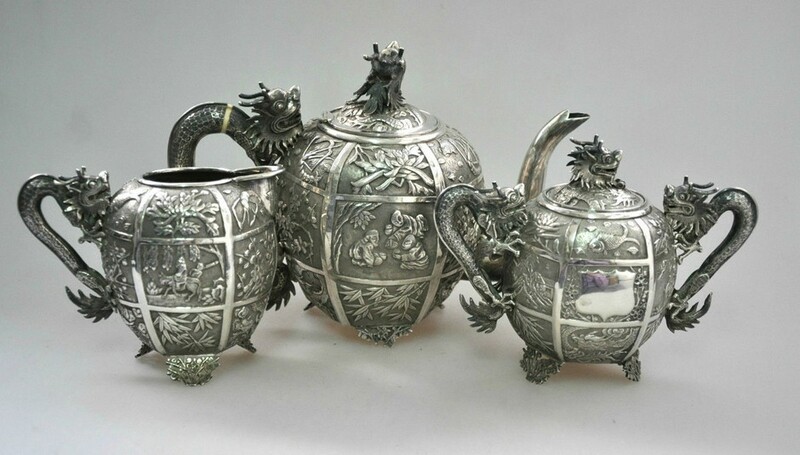 If you’re a collector, you understand the saying “They don’t make ‘em like they used to.” Silver tea sets still endure today because they were built to last. They are even more durable (and valuable) than porcelain. They lend an air of elegance and formality that’s perfect for elevating the ordinary to the extraordinary for special occasions.